Although this has been a mild winter in the Watertown Massachusetts area, the fast approaching, warmer spring and summer months are much anticipated. After bundling up and hurriedly walking our pets through snow and ice in the dark and cold winter months, dogs and owners alike are happy to enjoy extra daylight hours, the warmth of the sun and more time outdoors. There are many locations for dog walking in Watertown and surrounding areas including Boston, Belmont, Newton and Waltham. Some are on trails through the woods while others are on walking paths in parks shared with humans. Still others are specifically designated as off leash dog parks. Taking your dog along for a walk on a wooded trail provides exercise for both owner and dog and allows you both to enjoy the sights and sounds of a natural environment. Some of these reservation walking areas also have ponds where dogs are allowed to swim. As enjoyable as this type of walk or hike is, even in the most dog friendly area, there are rules posted that need to be followed. 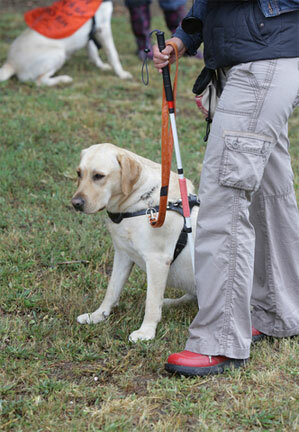 Generally, dogs are required to be on leash while on the grounds. On leash rules are strictly enforced in some parks by levying significant fines. Other parks are very lax about enforcing the rules. One visit will make it clear whether the rules are enforced or not. Check online to find a wooded walking or hiking trail nearby or ask other dog owners you encounter on the trail for recommendations. Most dog owners are very happy to share information and experiences. There are many reservation areas in the greater Watertown area that are dog friendly. Local city parks that include sports complexes and playground equipment are a great place for families to walk their dogs. They provide exercise for the whole family and include activities to accommodate all family members. Your dog will meet other dogs and you will meet their owners. Be aware that you will likely encounter loud children, bikers, skateboarders and runners, and your dog must be on leash at all times for safety reasons. 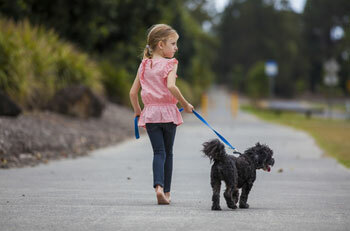 In most city parks there are fines if your dog is off leash. Another dog walking alternative is an off leash dog park. 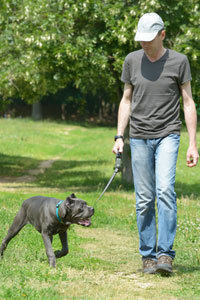 The primary focus of this article is on the pros and cons of off leash dog parks. These parks are a real treat for your dog and provide great exercise opportunities. When you find the right dog park for your particular dog it will become your furry friend’s favorite place. The primary benefits to your dog are exercise and socialization. Where else can a city dog run full speed in a safe environment? And where else can you find a group of dogs for your dog to play with while you watch them have fun? Although dog parks provide no exercise benefit for dog owners, the benefit for owners is meeting other dog owners and sharing tips and information about owning pets. Many long lasting friendships have been formed at dog parks. Unfortunately, all dog parks are not created equal and the rules and regulations vary from park to park. Always check the rules and regulations posted at the park entrance. Some parks are free, some charge fees. Some are free for residents of the city the park is located in and fees are charged to outside residents. One woman, who thought she was using a free dog park, was fined $50 and told she needed to purchase a yearly permit for each of her dogs in order to frequent the park. Some parks are maintained by city taxes, others by volunteer donations. The open hours of dog parks vary from park to park as well. Some parks designated solely as dog parks are open from dawn to dusk every day year round. Parks that share space with sports complexes are often open only from dawn to noon in spring and summer months so as not to interfere with afternoon or evening sports games. Several parks close for a couple of months in the spring to let the grass grow, other close on rainy days because of the mud. The size of the park determines whether or not the park is a good fit for your dog. Some large dog parks have plenty of room for big dogs to run and play and also provide a smaller fenced in area for small dogs. At some parks all size dogs comingle in one area. The total size of the park can be small and accommodate only a few dogs before it becomes overcrowded, other parks have very large open spaces with room to accommodate large numbers of dogs. The park should be completely, securely fenced in with solid fencing in good condition. The fence should be high enough that a large dog cannot jump over it and low enough to the ground that a small dog cannot fit underneath it. One dog owner reported that his small dog wiggled under the fence and was loose and panicked in traffic until it could be caught and calmed. Double gates add to the safety factor eliminating the chance that a dog can easily slip out when others are coming or going. Always keep an eye on your dog even in the safest environment. What is underfoot matters to your dog. Is it gravel that can irritate sensitive paws in small dogs, sand that can create unbalanced footing, dirt that turns to mud, wood chips that can be ingested or grass? Your dog’s nature, habits and preferences determine whether the terrain will work for you. One dog owner paid to take her dog to a park with gravel terrain and the dog refused to move from a small area of grass up against the fence. There are dog parks that are frequented on a daily basis by professional dog walkers who transport large numbers of dogs to the park. If your dog loves the company of other dogs these parks would be great for you. If you are looking for a fewer number of dogs with their owners in a more controlled environment there are quieter parks around. It helps to drive by and observe who frequents the park before paying for a permit. 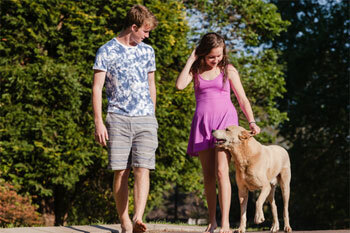 Are you looking for just wide open spaces for your dog to run and play or something more? Shade trees on hot days for both dog and owner and benches for owners make the visit a bit more enjoyable. A water fountain, dog bowls and available poop bags mean less packing and equipment to carry in. Some parks provide dog agility equipment such as tunnels, steps, platforms or hoops to jump through and others provide tennis balls. There is nothing better than playing catch with your dog on a beautiful day. As good as a dog park might be, if it is inconvenient to reach, you won’t use it often. A location close to your home is best. Take parking availability into consideration. Driving around and around the block to find a parking spot takes time away from having fun in the park and the prospect of a parking ticket can put a damper on your day. Check online to locate and read reviews of dog parks in your local area. This is a good way to gather information about specific parks before you visit them. A Google search for “off leash dog parks in Watertown MA”, for example, will display many dog walking parks as well as reviews of these parks by pet owners.